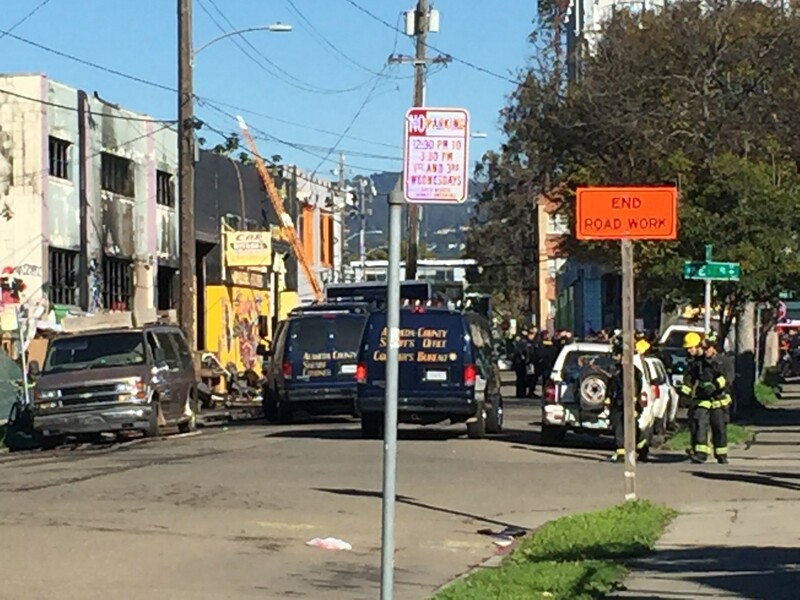 Sheriff's investigators at the scene of the Oakland fire on Saturday. At least nine people are confirmed dead and several dozen are missing after a fire ripped through the the "Ghost Ship" warehouse in Oakland's Fruitvale neighborhood late Friday night. As many as 100 people were crowded inside the warehouse for a party when the blaze erupted. They struggled to escape the flames and smoke. Officials fear dozens could have been killed. City records show that there were habitability complaints made against the property's owner as recently as November 14 regarding an "illegal interior building structure." City inspectors appear to have visited the building on that date, but were unable to verify whether there were code violations. The city's investigation was still pending when the fire broke out last night. On November 13 another complaint had been lodged against the property's owner alleging "a ton of garbage piling up on the property" next to the warehouse, including possibly "hazardous" materials. The warehouse is owned by a trust set up by Chor N. Ng of Oakland, according to property records. The Express was unable to contact Ng. 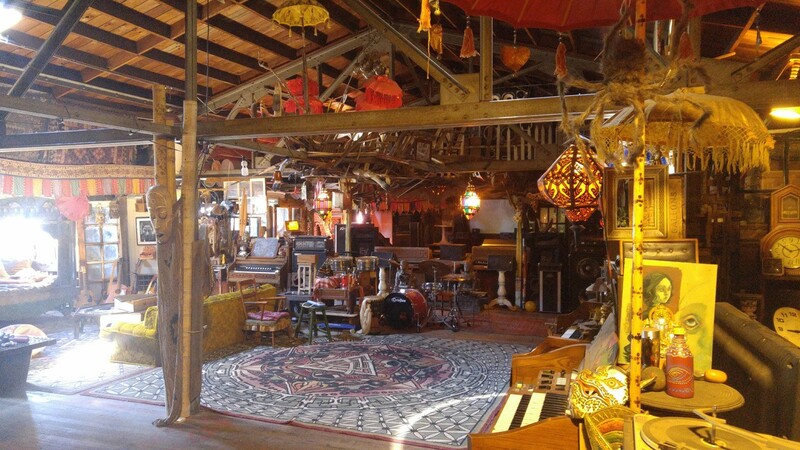 The inside of the "Ghost Ship" warehouse. In October 2014, the city cited Ng because of housing and other structures that were being built inside the warehouse without permits. The previous month, the building was also noticed for blight because of a large number of pallets and construction materials blocking the sidewalk. Firefighters who battled the blaze last night reported that some of the victims were likely trapped in the building because they couldn't escape down a "makeshift, one-way stairwell" that connected the first and second floor. The stairs were made of wooden pallets, the firefighters said. Photos of the interior of the warehouse show that it was a labyrinth of rooms and nooks crowded with carpets, furniture, and art — all of it highly flammable. City officials didn't immediately return calls and emails from the Express seeking more information about the warehouse's various building code violations.